1. Slice the cucumber into thin rounds (you can use a vegetable slicer if you have). Sprinkle with a bit of salt. When they become limp, drain well and gently squeeze with a paper towel. *Removing excess water from the cucumber will keep the salad from becoming wet. 2. 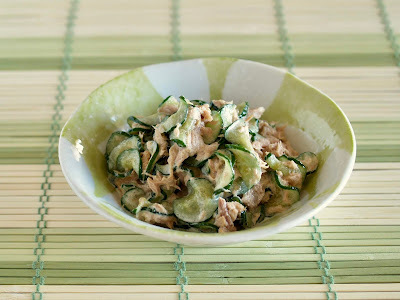 Combine cucumber slices, tuna, mayo and pepper in one bowl to finish. 1. Wash potatoes thoroughly. Remove eyes (sprouts) if necessary. Cut into wedges. Soak in water for 15 minutes to remove excess starch. Pat dry with paper towels. 2. Place potato wedges in a pan. Add cooking oil until potatoes are covered. Turn the heat to medium low and cook for about 15 minutes until you can insert a bamboo stick. 3. Turn the heat to high and cook for about 3 minutes until crunchy outside. 4. Remove from the oil, sprinkle with a few pinches of salt and Kombu kelp Dash powder. VERY SIMPLE, you just need 4 ingredients. NO MEAT, NO EGG, NO DAIRY, GLUTEN FREE! 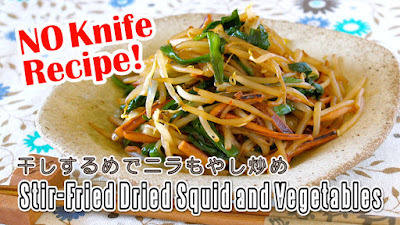 I used Reddish miso. Regular to red miso makes the nuggets very tasty. 1. Drain Tofu, wrap with paper towels, then place a heavy plate on top, and leave for 30 minutes to press out the water. 2. Mix the ingredients very well with your hands. 3. Roll into small balls. You can coat with rice crackers or Panko (bread crumbs) if you like. 4. Deep fry them in oil at 170C (340F) for about 5 minutes until crisp golden brown. You can serve with ketchup if you like! 2. Microwave on medium for 10 seconds or until the legs curl up. If you are using non-cooked sausages, you want to BOIL or PAN FRY them thoroughly. 3. Insert black sesame seeds for eyes, then eat with tomato ketchup if you like. We received some dried squids when we visited the nearby shrine for our son's Omiyamairi (the first shrine visit) and my darling's Yakubarai (ceremony to drive away evil spirits). I decided to make a dish out of them. You don't need a knife but use kitchen scissors / kitchen shears! Of course, you can use regular squids. FYI: Hatsumiya-Mairi (初宮参り) or Omiyamairi (お宮参り) is one of the traditional celebration events for Japanese babies. Whenever a newborn is over a month old, we bring the baby to a nearby shrine for a greeting (giving the invocation). 2. Mix A very well. 3. 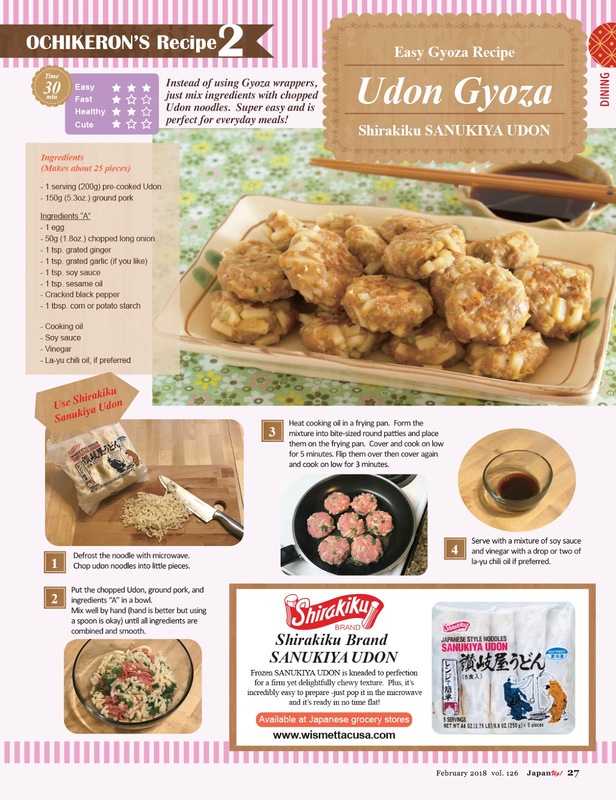 Heat sesame oil in a frying pan, add Toban Jan, then cook until fragrant. Add the squids, then stir-fry until heated. 4. Add the bean sprouts and cook until coated with oil. Then add the Chinese chives (cutting them into 2 inches long with kitchen shears), season with A to finish. 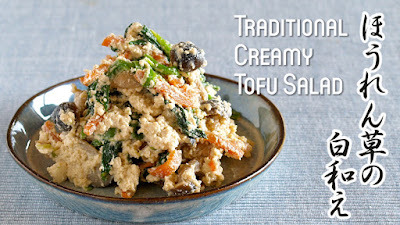 Very creamy, rich, and delicious Tofu salad with spinach, with hint of sesame flavor :) It is a traditional Tofu dish we make at home. Of course you can find it at stores or restaurants, too. Homemade one is superb!!! 1. Put water and cotton Tofu (break it into chunks) in a pot, bring to a boil, then simmer for 1-2 minutes. Then drain well in a strainer. 2. Cut carrot into thin strips. 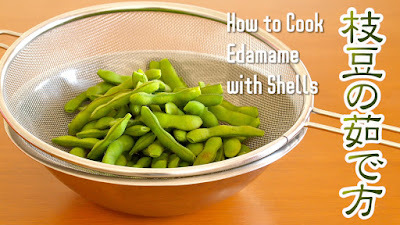 Remove the tough base of Shimeji mushrooms and break into pieces. 3. Put A in a pot, add carrot and Shimeji mushrooms, then simmer until the liquid is gone. 4. Cook spinach in a boiling water (with salt) for a minute, drain and soak in cold water, then drain and squeeze the spinach to remove the excess water (use paper towel if you have). Cut into an inch long pieces. 5. Place the Tofu in a mortar then mash it up with a pestle until creamy. 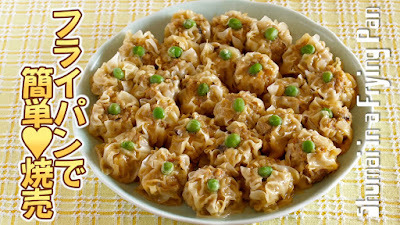 Season with B, then add the vegetables (3&4) and toss. 1. Mix Tempura flour and water in a bowl. 2. 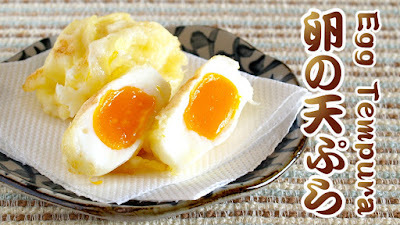 Peel the frozen eggs, dust with flour, then coat with the batter (1.). 3. Deep fry in oil (2 at a time is better) at 170C (338F) for 6 minutes. When they float up to the surface, flip them over to cook evenly. 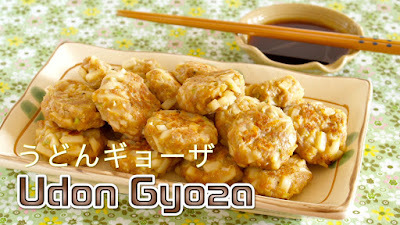 You can eat them with salt, soy sauce, Tempura sauce, Dashi broth, or any seasoning you like. 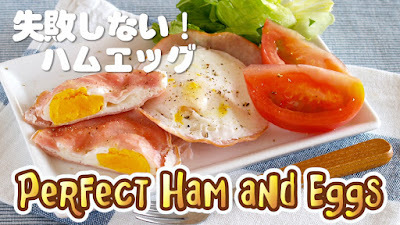 Vegetarian people can remove the ham and egg (seasonings are just fine, so you don't have to add anything to substitute them)! 1. Cut ham and cucumber into thin strips. 2. Cut carrot into thin strips, place them on a microwavable dish, cover with plastic wrap, then microwave at 500w for 1 minute to make them soft. 3. Season an egg with a pinch of salt, then mix well. Heat cooking oil in a frying pan and make 1 or 2 thin omelets (depending on the size of your frying pan). Leave to cool on a plate, then cut into thin strips. 4. 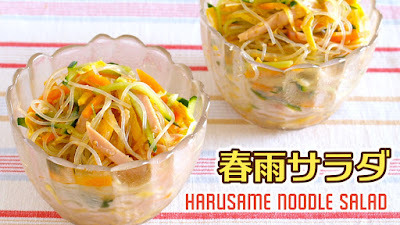 Cook Harusame noodles in boiling water, wash with cold water, cut into bite size pieces if necessary, then drain well.